In Acacia WoodsChan’s ethnic studies class at Castlemont High School in Oakland, students chat with each other in Spanish, Arabic and Mam, a Mayan language from Guatemala. The students have only been in the U.S. for a few weeks or months. Some are from Yemen and many are from countries in Central America — Guatemala, El Salvador and Honduras. WoodsChan came up with an idea. She asked her students to take turns teaching a little bit of their home language each day. Students taught their peers how to count from 1 to 10, how to introduce themselves and how to say basic phrases or words like, “Cool.” Then, they recorded themselves saying those phrases in short video clips. WoodsChan’s classroom is just one of many across the country with an increasing number of immigrant students. In the last five years, the Oakland Unified School District experienced a spike in the number of immigrant students from Central America. More than 200,000 children and youths under 18 were detained after crossing the border alone since 2014. 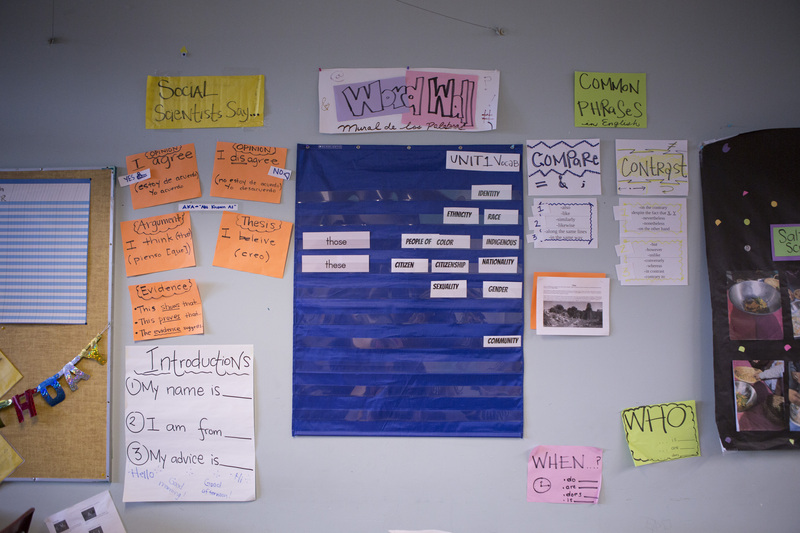 Posters and note cards with vocabulary hang on the wall in Acacia WoodsChan’s ethnic studies classroom at Castlemont High. 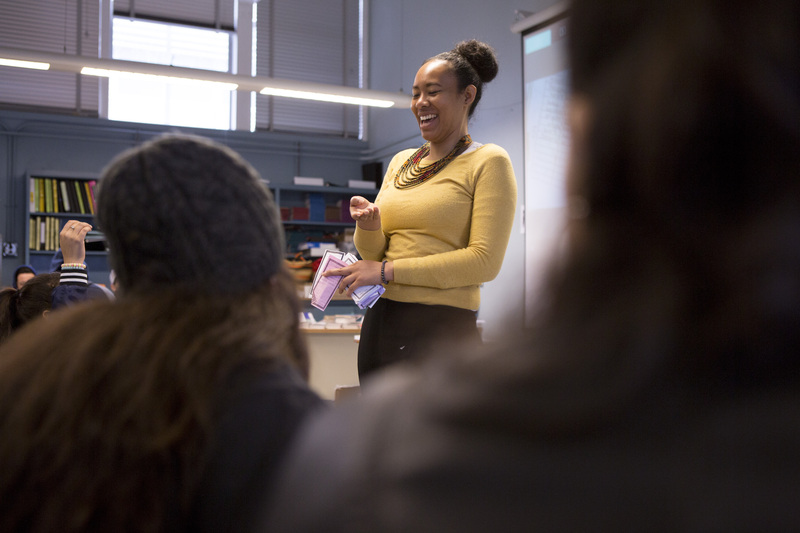 Acacia WoodsChan laughs while going over new vocabulary from students’ reading in her ethnic studies class at Castlemont High. 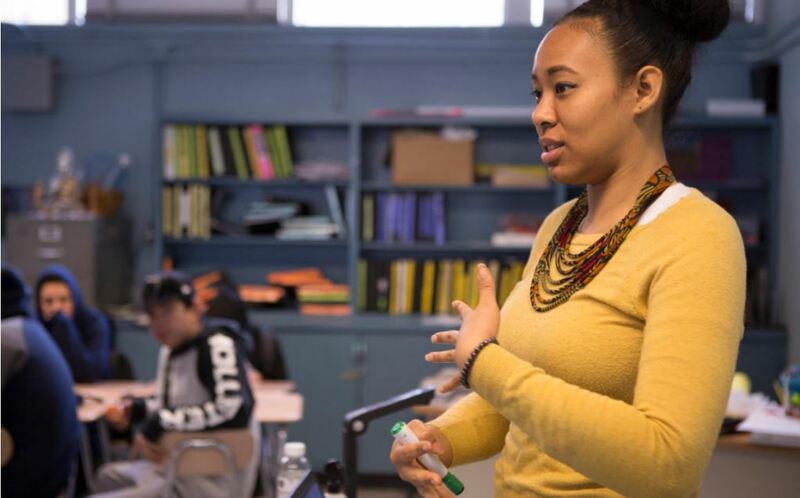 For WoodsChan, cultivating pride in her students for their own and others’ identities is personal — she’s African American and Chinese American. Her mother, who was born in the U.S., but spoke Cantonese at home as a child, told her that when she was in kindergarten and still learning English, she had a stomach ache, but she didn’t know how to say that word.